“With our busy schedules in recent times, it has become necessary to adopt a healthy lifestyle which requires us eating healthy. Our meals are to provide the necessary nutrients that our bodies need to create new cells, clean toxins and to function every day! In addition, eating healthy can help prevent diseases such as diabetes and cancer”. That was the view shared by Juliet Glover Chartey, Founder and Chief Executive Officer of Jules Catering and Events (Jules Kitchen) when we met over the weekend for an interaction. Our conversation focused on current lifestyle trends and a variety of issues we are faced with as a people. 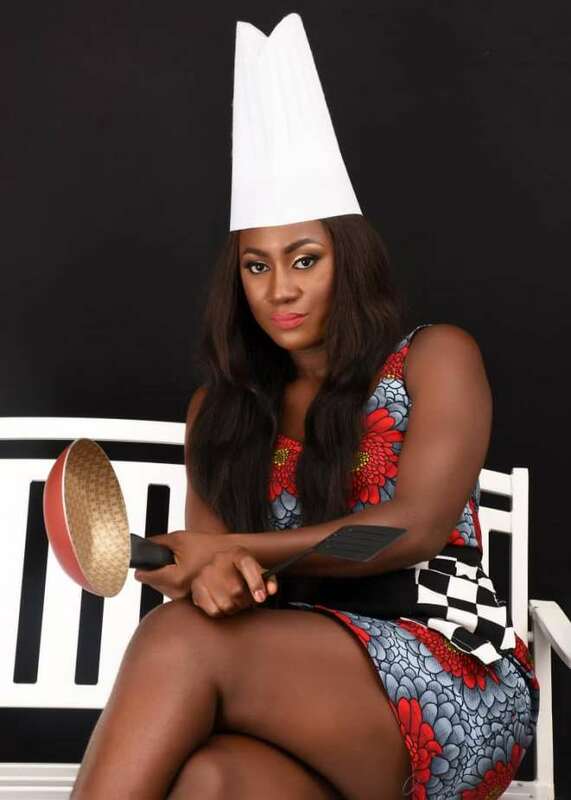 Popularly known as the Celebrity Chef due to the numerous celebrities that patronizes her services, Jules is the brain behind Accra’s popular bi-monthly social music and food event, Jollof By Night. She also serves as a resource person the few food and wine talk shows on television and radio. A few minutes into our conversation, it wasn’t difficult to discover her passion for her job and enthusiasm to succeed at whatever she does. Jules can best be described as a bold, young and optimistic lady ready to take on the world and defy all odds to grab the gold in life. “I am a lady hungry for success and prefer to focus on the positives in everything i do. Call me a go- getter who sees food as life and will do everything possible to make sure people remember me for saving their lives with my craft”, that was how Ms. Chartey described herself. From a family of three children, she was born in Dzorwulu, a suburb of Accra where she spend her formative years. She attended Englebert School and Kotoka Basic School for her elementary education then Krobo Girls High School where she studied geography, economics, elective mathematics and French, with her dream to become a lawyer at the time. As fate would have it, her passion for cooking and the arts took the better part of her and she enrolled at the Sunyani Polytechnic (now Sunyani Technical University) where she studied HND – Hotel, Catering and Hospitality Management. From there, she proceeded to the Ghana Institute of Management and Public Administration (GIMPA) for a Bachelor’s degree in Hospitality Management. Speaking about her work experience, Jules recounted the challenging task of setting up and managing the Sunyani Polytechnic’s guest house. In addition, she had to champion the acquisition of a business licence for the facility from the Tourist baord. “I did my internships at the La Palm Royal Beach Hotel before working at the dietitian unit of the 37 Military Hospital then joined the GIMPA Executive Lodge. I later moved to marketing solutions company, Swivel Marketing Ghana Limited, to learn the rudiments of marketing, promotions, branding and sales activations”, she added. Realizing a gap in the market, Jules resigned from her role to set up Jules kitchen to make a difference with varied services including corporate buffet, packed lunch, event management and planning, mobile juice bar, ushering and waiting services. About her priority when it comes to her business, she highlighted quick delivery, healthy, quality and fresh food plus a wide but innovative variety as elements which serve as the pillars of her business. “You need people who buy into your vision to work with you so that in your absence customers won’t be short changed. Also, people eat at particular times so you have to ensure that orders are always delivered on time. It is a must to ensure that the customers enjoy healthy and quality food because you want them to come back for more. Lastly, customers easily get bored with the same thing so you need to be innovative and deliver great service to make them happy at all times”, she added. 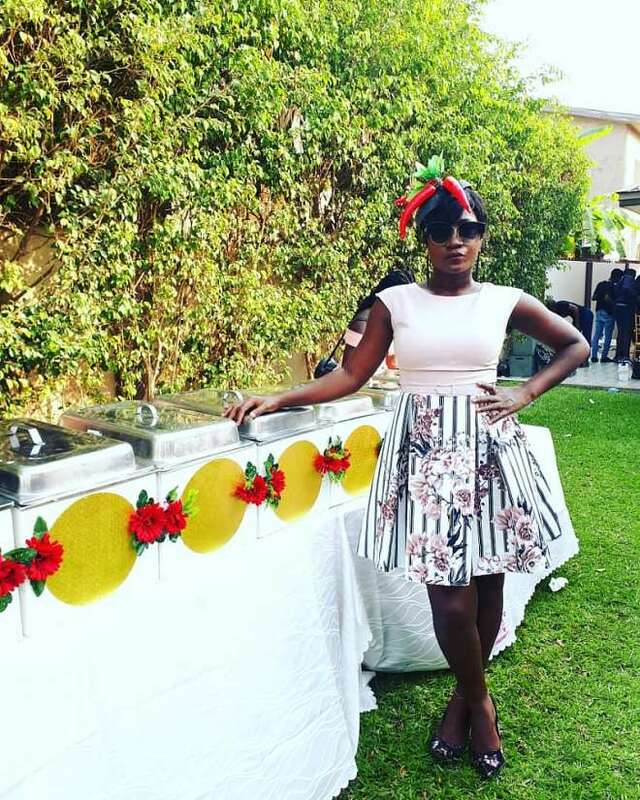 Growing her brand to become a household name in catering services is ideal; however, Jules wishes to be serving food to over fifty (50) percent of corporate institutions across the country.